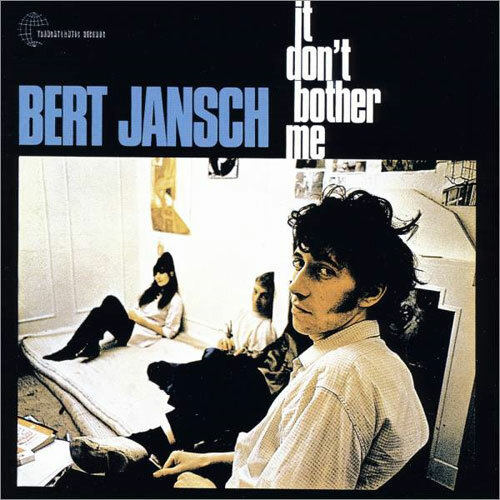 Jansch’s second album, released the same year as his first, is basically more of the same. Pithy original songs and technically inventive instrumentals all featuring mostly just Jansch and his guitar. John Renbourn, another legendary figure in the acoustic guitar community, shows up and plays guitar along with Jansch on a couple of tracks. The two would end up co-founding British folk group Pentangle eventually. This album starts out incredibly strong and at first it seems like it’s going to be better than Jansch’s debut. Ring-a-Ding Bird is a lovely, lilting nursery rhyme type tune with a beautiful melody. Anti-Apartheid is a scathing political song, one of the few Jansch ever did. A Man I’d Rather Be is a witty, clever musing on existence with a wonderful vocal delivery. But right at about the half point the album takes a big downturn with My Lover, a droning, eastern-influenced tune that features Renbourn. It’s Jansch trying something very different with his vocals and they really don’t work and the guitars don’t seem to be working in concert and so create a really chaotic backing. After that, the album never quite recovers its energy, though the ending song, a cover of traditional folk song 900 Miles is a very good track. Want My Daddy Now, the next to last track, is a needling little tune that is serious competition for My Lover as worst track on the record, but the album does briefly recover with the final track, a nice cover of traditional folk tune 900 Miles. The first half of this album is really, really strong, but, on the whole, I found the album disappointing. It’s not the follow-up I wanted and not near the album Jansch’s debut was. 2 ½ stars. tl;dr – Jansch’s second album has a really strong opening, but it goes off the rails; only rarely awful, this album still ends up averaging out at very mediocre. 2 ½ stars.